New book cover, and ebook price is cut to $6.99! What if many of the things you thought you knew about being human did not actually work the way you were taught? What if scientific research into gut bacteria had revealed huge amounts of information about their role in human function, health, emotions and appetite and healthcare hadn’t caught up at all? What if you could find out the key to controlling your weight without starving yourself or undergoing dangerous surgery? What if the book you’re looking at could teach you about the explosion of scientific research on the microbiome, without you having to read a few thousand studies to understand it? You’ve probably heard that our gut bacteria vastly outnumber our human cells, and our gut bacteria’s gene pool includes more than one hundred times the gene count as our human cells. What does that mean and how does it work? If you’re interested in knowing more about “what makes us tick” physically and emotionally, how to hurt less and age more gracefully, then this book is for you! If you’re tired of books that state the author’s opinion or make broad claims without scientific backing or support, this book includes about 1300 peer-reviewed research studies, and the e-book has links to those studies on the National Library of Health/National Library of Medicine. This entry was posted in Uncategorized and tagged ADD, ADHD, adrenal, aging, AIDS, akkermansia, alzheimer's, antibiotic, antibiotic resistance, anxiety, asd, asthma, autism, autoimmune, autonomic, bacteria, BDNF, brain, brain development, caesarian section, clostridium, curcumin, depression, dysbiosis, exercise, fatty liver, fermented, gaps, gluten, gut bacteria, gut brain axis on October 2, 2015 by Dr. Richard Matthews. With this in mind let us consider two questions: Is glyphosate toxic, and are crops really sprayed prior to harvest? The reason that glyphosate is “considered safe” is that it inhibits a metabolic pathway in plants known as the Shikimate pathway. This inhibition interrupts the plant’s metabolism and kills it. Humans and other eukaryotic species do not have a Shikimate pathway, and so the claim of safety appears to be scientifically sound…or is it? All eukaryotic organisms including humans have cellular power-producing structures known as mitochondria. These structures are where energy is produced so that the cell and the organism have fuel. Mitochondria, however, are really not of human origin. Thought to be the end result of ancient indwelling symbionts (endosymbiont theory if you’d like to look that up) mitochondria are more similar to bacteria than human cells. Their DNA is circular, just as bacterial DNA is circular. This isn’t some new discovery as geneticists have been using this mitochondrial DNA to track the human family tree for years. You see, mitochondrial DNA is matrilineal-it is only inherited from the mother, not from the father. This provides a unique opportunity to track one side of the family tree more accurately than is possible with human DNA. It’s also the first clue to glyphosate’s toxicity, as bacteria have a Shikimate pathway! Predictably mitochondria also have a Shikimate pathway. There is already a research paper stating this (Mesnage, Seneff). There is also an effect in the microbiome, as glyphosate is more toxic to some microorganisms than to others, causing an imbalance in this critical ecosystem. Kruger found that glyphosate reduced the inhibition of Clostridium (a pathogen) by Enterococcus species, causing imbalance and disease. A differential toxic effect was found in chickens by Shehata, who showed the glyphosate inibited beneficial microbial species yet did not inhibit pathogenic ones. Changes in gut bacteria in humans can alter serotonin levels, affecting behavior, mood and susceptibility to brain trauma (Morley). The microbiome living in our intestines are critical to our health and are vulnerable to changes in intestinal function (Matthews). 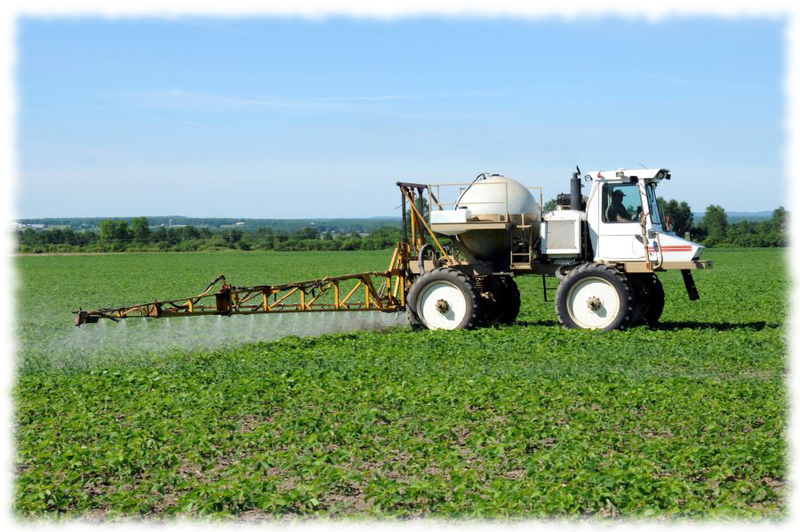 It has been found that at very dilute concentrations, far less than commercial farming uses, glyphosate reduces intestinal motility (Chlopecka). This would result in more constipation, dramatic shifts in population dynamics and an increased risk of small intestinal bacterial overgrowth (SIBO) due to reduced motility allowing contents of the colon to move into the small intestine. Glyphosate has been found to trigger pathways producing cellular apoptosis (think cell sepuku) and increased reactive oxygen species producing damaging oxidation (Chaufan). There is always someone who, in the comments following an article critical of Roundup, offers to drink a glass of it to prove its safety. This is ill advised, as glyphosate is far from nontoxic. Instead, it has been found to produce respiratory depression, bradycardia (so, you can’t breathe and your heart slows), acidosis, hyperkalemia, cardiac block or arrythmia and death. Hemodialysis and intubation are required to help the patient survive, as there is no antidote to glyphosate poisoning (Garlich, Gress). Okay, so Roundup is definitely toxic in many ways even at small doses. What about all of the people who argue that it is not recommended for use before harvest? Doing a basic search on the internet looking for pre-harvest advice as a farmer provides some insight into this! Monsanto itself provides a “Pre-Harvest Staging Guide” for using RoundUp: http://tinyurl.com/q2o8f96. North Dakota State University published “Glyphosate as a Pre-Harvest Aid in Small Grains” July 2014: http://tinyurl.com/ll98tfj. Michigan State University published something similar for soybeans: http://tinyurl.com/o6f5dqy. University of Arizona Extension also got in on the game, publishing a guide to pre-harvest spraying of wheat to kill broad-leaf weeds: http://tinyurl.com/ljs6547. Similar publishing can be found at http://tinyurl.com/l69bdzc, http://tinyurl.com/kbem9ht, http://tinyurl.com/k6o4lwf, and http://tinyurl.com/m7nxm6a. You might notice that many of these organizations providing pre-harvest spraying guidelines are university agricultural programs. If you’re not familiar with ag programs, you might even wonder why they would recommend such a practice in light of the research information on glyphosate’s biologic effects (and there are many more articles showing its effects; I didn’t even scratch the surface really!). The old adage of “follow the money” could never be more accurate: http://tinyurl.com/mhyvwzy, http://tinyurl.com/ctw2aq7 as the codependent relationship that has evolved between Monsanto and institutes of higher education is both diabolically brilliant and nauseatingly common. If you needed more reasons to shop for organically grown fruits and vegetables or use grains other than wheat, you now have them. If you think just avoiding wheat will solve the problem, consider that the same recommendations exist for barley, oats, flax, canola, peas, lentils, soybeans and dried beans (page 31 of http://tinyurl.com/q2o8f96 lists all of these as recommendations for pre-harvest spraying in Canada, and others list ‘small grains’ in the guidelines: http://tinyurl.com/o994mk2). We have arrived at a time in history when the business interests of corporate entities often take precedence over the health needs of society’s human members. When we allow large corporations to control what is taught in schools and what guidelines are imposed by government, we can count on one thing-being counted out of the deal. 1: Shaw CA, Seneff S, Kette SD, Tomljenovic L, Oller JW Jr, Davidson RM. disease. J Toxicol. 2014;2014:491316. doi: 10.1155/2014/491316. Epub 2014 Oct 2.
Review. PubMed PMID: 25349607; PubMed Central PMCID: PMC4202242. Potently Affect Cardiovascular System in Mammals: Review of the Literature. Cardiovasc Toxicol. 2014 Sep 23. [Epub ahead of print] PubMed PMID: 25245870. Physiol. 2014 Jul;113:25-30. doi: 10.1016/j.pestbp.2014.06.005. Epub 2014 Jun 24.
concussion, and downstream neurodegeneration. Surg Neurol Int. 2014 Jun 18;5:97. 24719846; PubMed Central PMCID: PMC3955666. 10.1177/1091581813517906. Epub 2014 Jan 16. PubMed PMID: 24434723. Jan;52(1):66-71. doi: 10.3109/15563650.2013.870344. PubMed PMID: 24400933.
on potential pathogens and beneficial members of poultry microbiota in vitro. Dec 9. PubMed PMID: 23224412. This entry was posted in Uncategorized and tagged ADHD, adrenal, AIDS, alzheimer's, antibiotic, antibiotic resistance, anxiety, asd, asthma, autism, autoimmune, autonomic, bacteria, brain, brain development, breast, CAM, cancer, cfs, chronic fatigue, clostridium, complementary alternative medicine, DNA, enteropathy, fatty liver, fermented foods, fibromyalgia, gluten, glyphosate, mitochondria, mitochondrial, roundup on November 19, 2014 by Dr. Richard Matthews. Ebola and the Microbiome-Facts You Need to Know! In light of the most recent microbial scare, the Ebola virus outbreak in Africa which threatens to spread to the United States, I thought that perhaps it would be interesting to research and review some potential connections to the microbiome. What do our gut bacteria have to do with Ebola? Read on to find out! 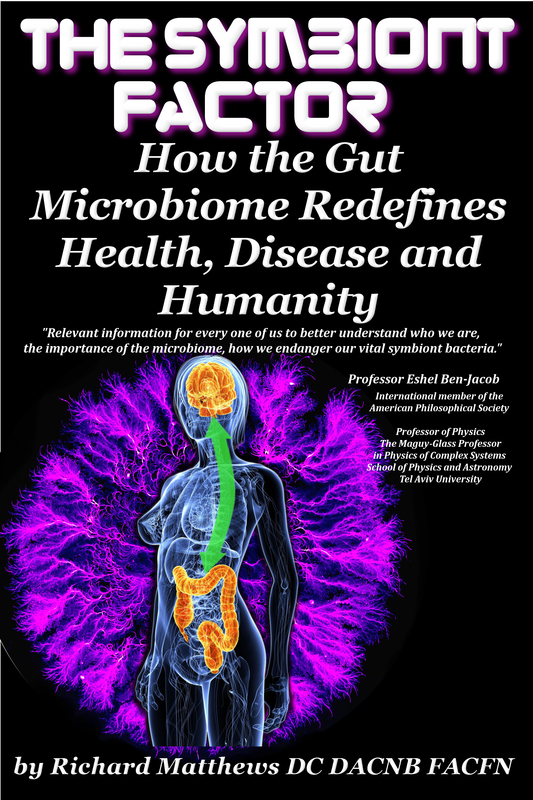 Is there a connection between the immune system function and the microbiome? Yes, there is such a connection, and it is well documented in The Symbiont Factor. Deficiency of gut bacteria causes depression in the immune components involved, resulting in depressed levels described above as causing increased vulnerability to the Ebola virus (Huang, Chung). Adding probiotics helps to stimulate the development of the CD4+ and CD8+ immune components important for resistance (Qadis, Palomar). Antibiotics that disrupt gut bacteria and cause dysbiosis can result in greatly elevated inflammatory response (Bercik). What does this mean in the big picture of things? Encouraging innate immunity is always safer than resorting to drugs, particularly as a preventive measure. Building up your microbiome so that your immune system is in tip-top shape may actually reduce the odds of contracting the infection if exposed to the pathogenic virus. 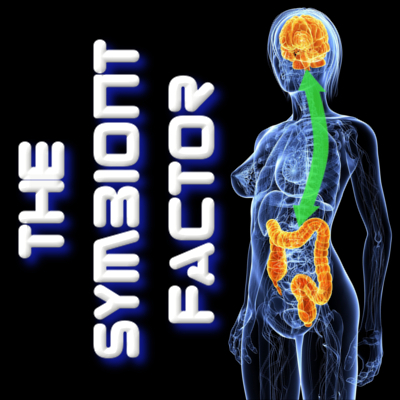 More reasons to learn about The Symbiont Factor that keeps our body and mind at its best! This entry was posted in Uncategorized and tagged AIDS, antibiotics, CD3+, CD4+, CD8+, cytokine, cytokine storm, Ebola, fermented, fermented foods, gut bacteria, gut health, hemorrhagic fever, HIV, holobiont, hologenome, hypothalamus, inflammation, irritable bowel syndrome, kefir, kombucha, lactobacillus, lymphocytes, malaria, microbiome, microbiota, probiotics, symbiont, thesymbiontfactor on August 4, 2014 by Dr. Richard Matthews. How Women can Reduce their Susceptibility to Sexually Transmitted Diseases, Including HIV Infection! This entry was posted in Uncategorized and tagged Acquired Immune Deficiency Syndrome, AIDS, autonomic, bacteria, brain, childbirth, diet, fatty liver, fermented, fermented foods, gut bacteria, gut health, HIV, holobiont, hologenome, Human Immunodeficiency virus, immune, inflammation, irritable bowel syndrome, kefir, kombucha, lactobacillus, microbiome, microbiota, midwife, nutrition, probiotic, probiotics, symbiont, symbiosis, symbiote, symbiotic, vegan, yogurt on July 17, 2014 by Dr. Richard Matthews.